The government is to set out the standards of healthcare children and young people should receive. BBC News Online looks at mental health, one of the areas expected to be covered in the government's National Service Framework, and what changes experts want to see. Mental illness is often seen as an adult problem. But it is estimated that around 10% of children have some sort of mental health disorder. Half of those are estimated to have a behaviour problem, 4% an emotional disorder such as anxiety or panic attacks and 1% a hyperactive disorder. Gavin Baylis, a senior policy officer with the charity Young Minds, says: "People who have problems in childhood often go on to have problems as adults too." Philip, 17, had become increasingly aggressive and violent, smashing up the family home and injuring his father so badly that he ended up in hospital. His parents slept in their clothes in case they needed to get out quickly. Philip said the TV talked to him and that he would get a large payment from the government because he alone knew the truth about the September 11 attacks in the USA. The family's GP was sympathetic and said he was mentally ill and should be sectioned, but a psychiatrist refused to help because Philip had taken drugs. His mother was advised to throw him out but she wanted help, especially for his psychotic episodes. After advice from Young Minds, his family were finally able to secure a place in a psychiatric unit for Philip. His mother said: "It has been an awful experience for us all. You just have to keep on, and shout louder if no-one listens, and complain, and shout again. "We tried everything but nothing else worked." He said it was often much easier to intervene and help people who showed signs of mental health problems as children, because situations often worsened as people got older. Some schizophrenics had reported experiencing hallucinations since they were very young, he said. But in a child, this could be put down to story-telling or nightmares. And he said helping a child with serious behavioural problems could prevent them developing a personality disorder as an adult. "If you support parents with parenting skills when a child is two, three or four, you can deal with problems relatively easily at that age." He said, while not all children with behavioural problems went on to have personality disorders, adults with personality disorders were almost certain to have had behavioural problems as children. "The younger someone is, the evidence shows that smaller and smaller interventions can be beneficial." He added early interventions could also be beneficial in preventing people becoming involved in crime, a common pattern for people with antisocial personality disorders. However he said many children with mental problems have no contact at all with specialist services while others may only see social workers or have school nurses. Mr Baylis said: "Children make up 20% of the population, and 10% of them have a mental disorder. Evidence shows childhood is also the best time to intervene." "We are pleased that child and adolescent mental health is one of the six areas covered in the NSF." 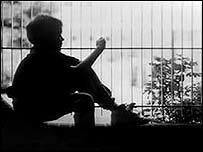 He also welcomed the government's announcement that child and adolescent mental health services will care for anyone under 18, ending the current situation where some areas set 16 as a cut-off point, leaving teenagers in a 'no-man's land' until they are eligible for adult services at 18. But he said there was still a shortage of people training in the area of child mental health, too few training places and not enough funding to pay for posts in the NHS, and too few inpatient wards for teenagers with mental health problems. He added: "There also needs to be specialist support for teachers, social workers and GPs who are dealing with children with mental health problems."